For the last couple of months, self care has been a seriously hot topic across social media. We all know how important it is to look after ourselves, but how many of us actually do? I'm totally guilty of burning the candle at both ends. I wake early and go to bed late, cramming the hours inbetween full of looking after the kids (and the animals), school runs, work, food shopping, cleaning and tidying. Like most mums (not just single ones like me) I very rarely get any time to myself - and when I do, I'm torn between doing things that I need to do, doing things I feel I ought to do, doing things I want to do and doing absolutely nothing at all. Me time is right at the bottom of my list of priorities; although I'd love nothing more than lying on the sofa watching Netflix some days, there's always something that needs doing. When I mention the things I feel I ought to do, I'm talking about what I like to call extra curricular housework (the big jobs that aren't done every day, like cleaning out cupboards and moving furniture to hoover) and looking after myself by getting my roots done or going to the gym. I've always been a member of a gym, although since leaving London and moving to Haslemere I've downgraded and been a member of the local leisure centre instead. It's not glamorous or pretty, and I wouldn't ever dare use the pool or shower there after a workout, but it only cost £45 a month, and they have two classes every morning which I go to regularly. I'm a fan of classes over actual gym workouts, otherwise I find myself sat quite comfortably on an exercise bike peddling at about 3mph whilst watching This Morning rather than working up a sweat and getting those endorphins going. Up until the end of the last school term I'd got myself into a bit of a routine going twice a week, on Tuesdays and Fridays. Darting in to do a double whammy of classes, and darting out to go home and get showered and crack on with my working day. Perfunctory, and definitely not an enjoyable experience. But exercising is a necessity right? It's not meant to be pleasant. For some reason or another I started having flashbacks to my gym days, pre-kids. Where my membership was admittedly a lot more, but I actually looked forward to going to the gym. It was an experience. I'd spend hours there; working out, having a sauna, showering, and washing and blow drying my hair. As if that wasn't enough, I'd often even stay and meet friends for dinner afterwards. It was sociable. It was fun! Of course I couldn't do that now, but I couldn't help but think that surely working out, and looking after yourself in the process, needn't be such a chore. And that's when I started researching my options out here in the sticks. There weren't many. Just two in fact - one, a well known health centre chain, with excellent childcare facilities, and the other a luxury spa - no kids allowed. The former was a 10 mile car ride away, the latter just 3. The single monthly memberships were similar, but adding the kids to the family friendly one would have almost doubled it. What did I want to take the kids to the gym with me for anyway? If I was going to start a bit of a self-care routine, I decided I'd rather do it on my own. 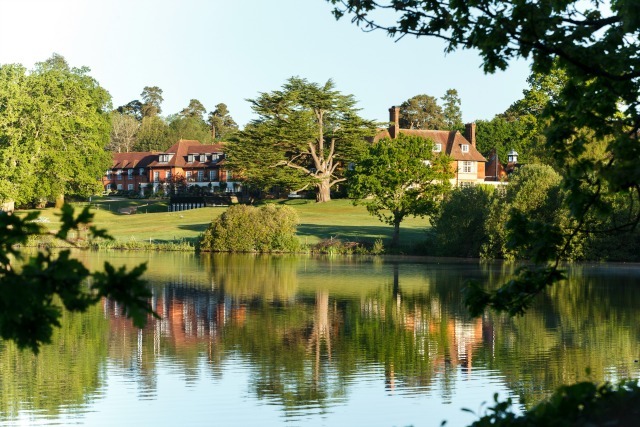 A couple of days later I found myself signing up to Champneys, Forest Mere and I have to admit... I was excited! 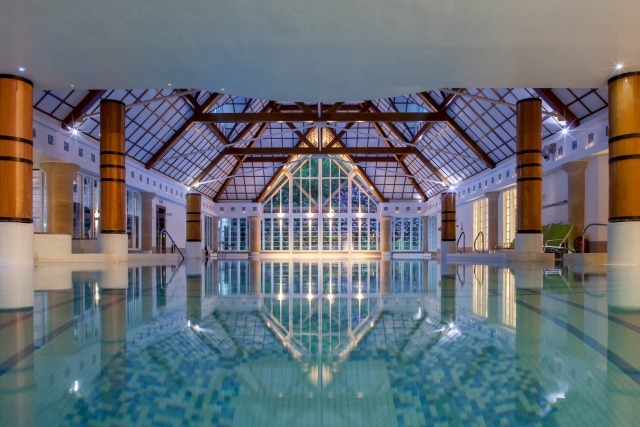 But lets be honest, when your gym is a beautiful manor house set in 160 acres of woodlands, with excellent gym and spa facilities and a killer class timetable, you're going to be aren't you. I had my tour, signed on the dotted line and wished I didn't have to wait until the next day to do my first class. My first visit was bang slap in the middle of the heatwave. I didn't want to overexert myself so I signed up for a morning yoga class before making the most of the outdoor pool and jacuzzi, and spending the afternoon working / dozing off in a hanging chair in front of the lake. If that's not self care I don't know what is! I left five and a half hours later to do the school run with an empty inbox and feeling a million dollars. Over the course of the next couple of weeks I did much of the same. I took part in HIIT and spinning classes, hula hooping classes (yes really! ), stretching and meditation classes (and more yoga) and my favourite class of them all - ballet fusion. I worked poolside, or in one of the many indoor spaces, and allowed myself a break between the two to unwind and catch some rays. The outdoor facilities really are incredible at Forest Mere, but the indoor ones are too - and I'm very much looking forward to enjoying them once the weather cools down later in the year! 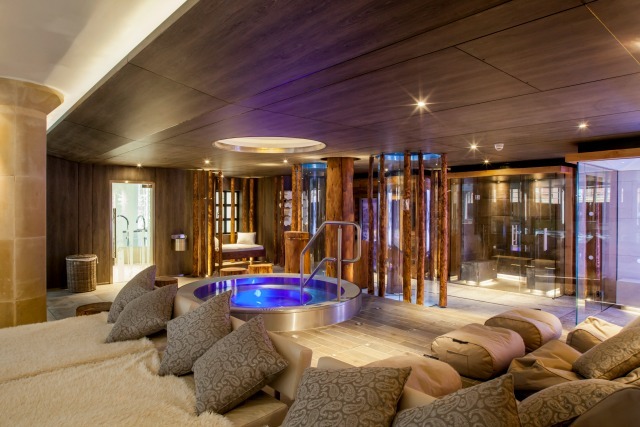 There's a thermal poolside suite, flotation beds and relaxation rooms as well as the sauna and steam room to visit. I'm already a big fan of the constantly evolving timetable of classes and talks (you can see what's lined up from now until October here). The timetable is open to all members and hotel guests and it has been so wonderful to be able to take part in so many different activities, both indoor and out, working on different areas of my body each time. 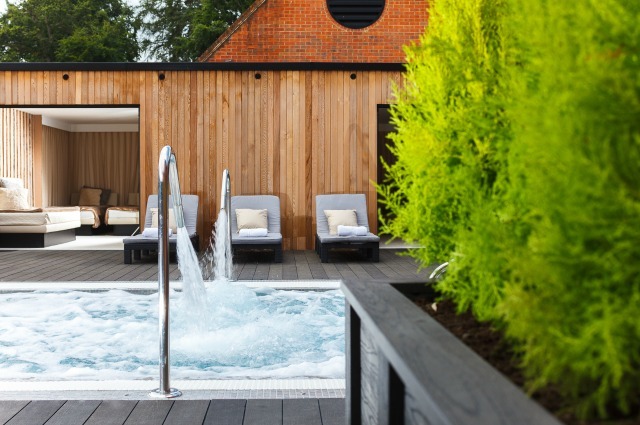 Of course Forest Mere is very local to me, which is why a monthly membership is more than worth it, but for those of you that are further afield it's most definitely worth a visit, whether that's just for a spa day or for an overnight stay. We're very lucky to be on the edge of the South Downs here, so the scenery is unrivalled and there are some amazing hikes to go on from the hotel itself. 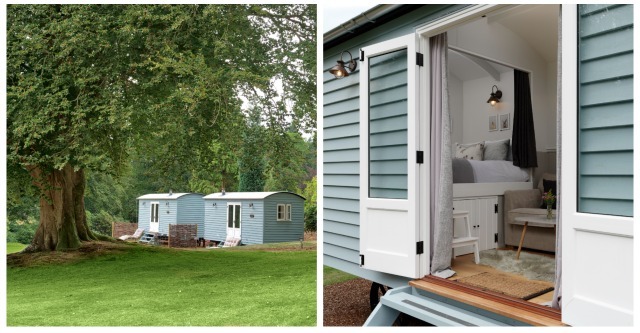 They also have these beautiful, brand new Shepherd's Huts in the grounds, overlooking the lake, which I think would make the cosiest Autumn getaway! Now that the children are at home for the summer, I'm back to having minimal me time for a few weeks. Although I'm not able to visit the gym as often as I have been, I'm making sure I keep active and that I allow myself a bit of down time too. Once they're back to school in September I'll be in a position to increase the frequency of my workouts again - I'm even contemplating signing up to one of Champneys boot camps! - and I can't wait. You'd never have heard me saying that a couple of months ago! DISCLOSURE: Champneys gave me one month's complimentary membership in exchange for this review. All thoughts are entirely honest and my own.